Up until this point in our journey my brother Matt and I had basically documented what was. 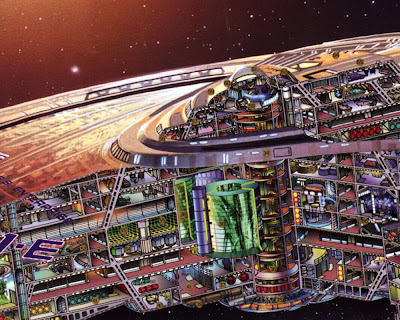 Star Trek design and programming largely completed before we created our posters. Its now 1995 and with the announcement of the production of the new Star Trek Movie First Contact we immediately request the license for the new Enterprise.... The Enterprise D had been destroyed in Generations and the Enterprise E was a chance to be involved from the ground up. It was also an opportunity to directly add our touch as well. Over the coarse of the next several posts I want to construct the work that went into the movie. Drawings and blueprints began rolling in almost immediately. 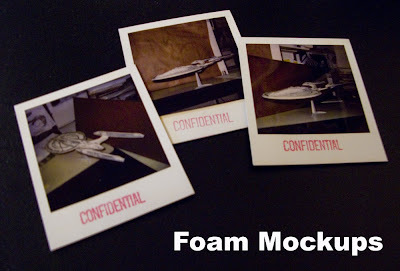 These drawings were highly classified as Paramount was trying to build suspense on what the new Enterprise would look like.... Our first model was made of foam core but gave us the first impressions of the new design. Laying in front of us was the new Enterprise... And outside of the Star Trek art department knowone had ever seen it! it was a sureal experience. 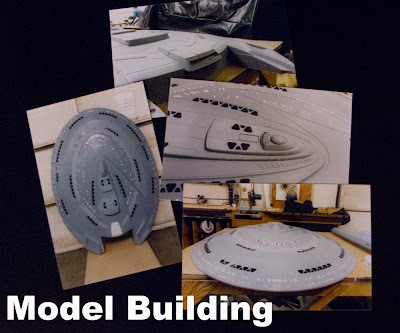 First Contact was the last movie that used models for the ships. Images of the exterior came almost daily... here are some close ups of the saucer section. Interior sets were also being constructed though these images didn't come until later in the year. One of the first areas that i was able to contribute was the bridge airlock. 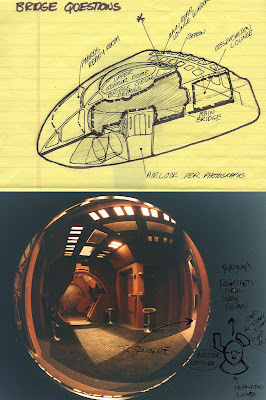 While they had the interior set completed the door to the airlock did not match any of the exterior design. It was here that I suggested a secondary flush door that matched the smooth exterior. Here is the sketch I supplied for the solution. Another sketch I completed was a saucer separation sequence which while never used can be found in the details of our poster. 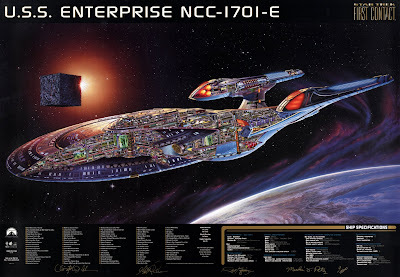 While I was working on collecting the details on the Enterprise my brother Matt was working on a small sub poster of the Phoenix which was debuted along side the new enterprise poster. Here is the capsule for the Phoenix... Matt did an incredible job working on the Phoenix including the design of her engines... This will be covered on a future post. Above and below are the poster and a close up of the poster for detail! The color and internal details used a new technique utilizing photoshop and actual textures from the sets. 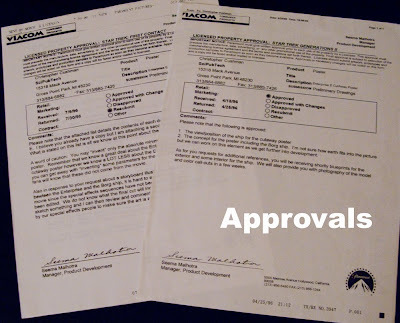 Getting product approvals is a time consuming process, drawings were sent back and forth via FedEx. 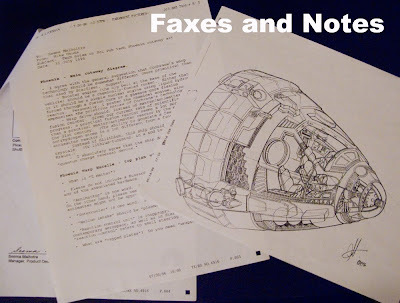 Redlines(corrections) were always hard as the design process was meticulously controlled by the art department. 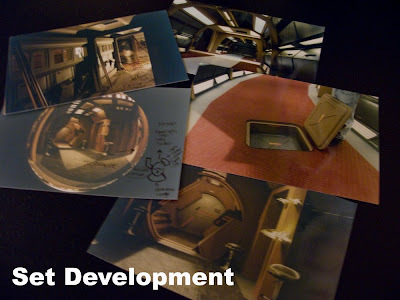 These guys were not just designers they were fans and the keepers of the Trek canon. 1996 Suzie Domnick VP of Paramount product licensing said that SciPubTech was the rare non filmed product that not only was Canon but extended Canon for the show. In the next several postings I will step through each of these moments in detail. 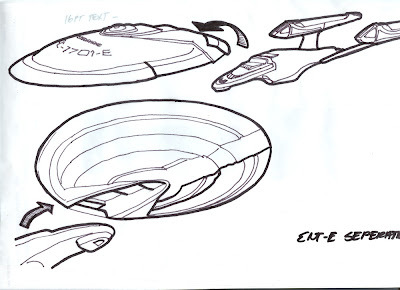 Needless to say helping to design the Enterprise E was a singular honor.